I am also concerned about the lack of protection for the nearby River Red Gum, which should have a protection zone as it would for any other construction project instead of being used as a storage spot for machinery parts and a toilet. 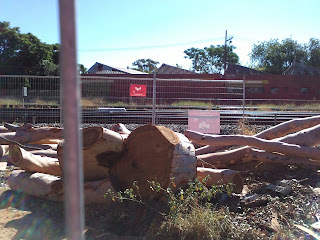 As for the felled tree, an alert local tree lover saw it being chipped the day it was felled and called the council, succeeding in having these pieces saved as promised at the public meeting about Forestville Reserve. As of today, 4 January, it is hard to tell whether they have in fact been taken somewhere for resuse or have been buried onsite. 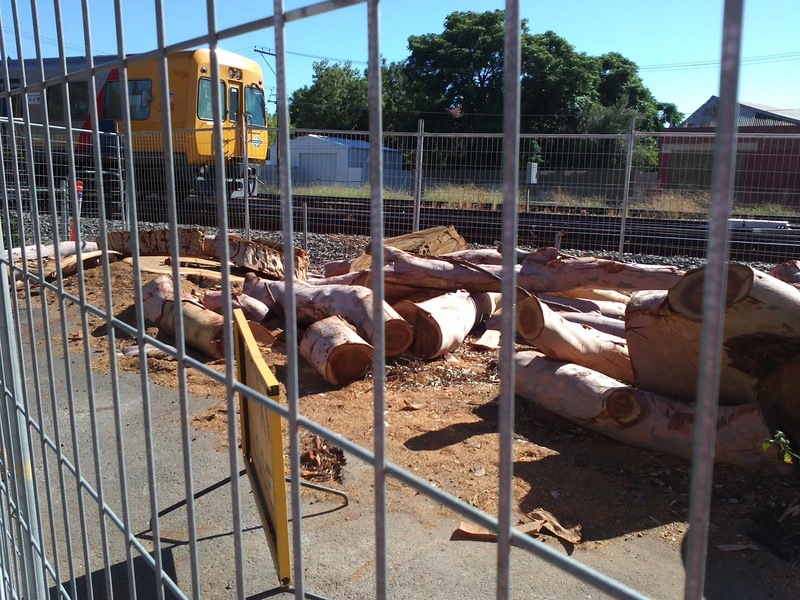 This is very disappointing as I was given an undertaking that all timber would be recycled as logs if possible and either stored at the Council Depot or in a nearby park until able to be used for relandscaping at the end of the project. 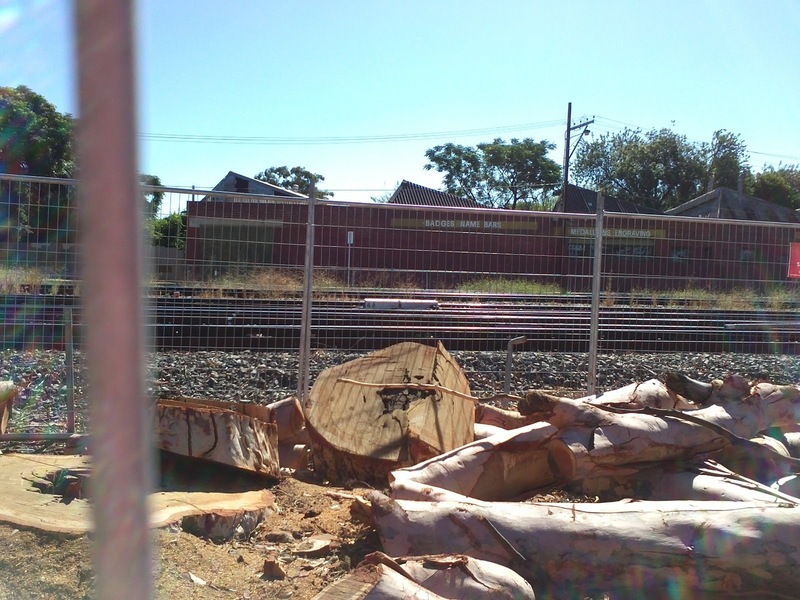 When i took the photos I assumed ththat this is what had appened. I will check with staff and then put the reply back on this site.